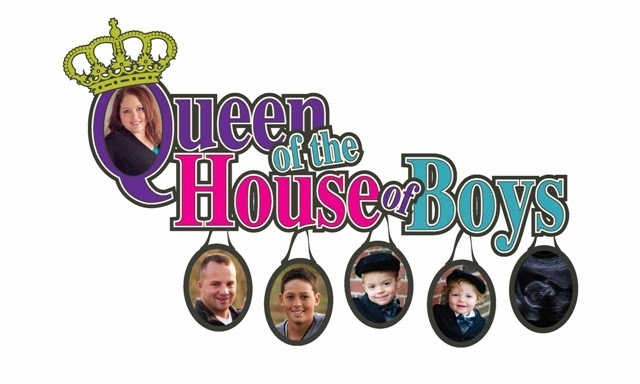 Queen of the House of Boys: Little "moments"
Zae comes in and says..."Come see what I made!" Me: (reluctant and scared to see "ok, be right there"
What did I find??? That Zae had taken the whole top row of our landscaping blocks all the way from the front yard to the back yard to build a fire pit!!!!! What a great idea, however these rocks are the only thing that looks nice on the front of our house right now. Sooo....He had to move all the bricks BACK to the front yard, and he was not very happy about it! But he did it! This morning I awoke to breakfast in bed by this same little 10 yo. He brought me scrambled eggs with cheese and ham, a stick of string cheese, and a jello cup. The eggs were actually REALLY good! He claims there was no reason behind it, and so far I think he is telling the truth. Daddy has taught him well, he will make his wife very happy some day. My husband came home last Thursday from work..River and I had been sick for a couple of days...he sits down, looks at me seriously and says.."You look like you could benefit from a shower". Wow! I must have looked really torn up for him to say that. I didn't argue or act offended at that point, I got right up and marched to the shower. Nothing like taking a long hot shower when someone is in charge of watching the kids!